Stephen Hunt (L) and Philip Law (R) with the newly-launched English language version of the educational toolkit devised by PlasticsEurope. An educational ‘toolkit’ for school age children filled with polymer science experiments has been launched as an English language version at K 2016, ready for use in UK classrooms. In a collaboration between PlasticsEurope and the British Plastics Federation, the toolkit is designed to engage younger children with polymer science through a series of experiments that allow them to explore the wide variety of properties and applications plastics have. It contains a series of experiments, a booklet for children explaining how plastics are formed and how to conduct the experiments, as well as a teachers’ guide. The booklet features a character named Olly, who is based on ‘Kuno’ – the star of a German educational toolkit developed by PlasticsEurope which has, since its launch in 2001, since been translated into Italian and Polish. Olly is designed to engage pupils aged between six and ten, promoting science through five fun experiments. The experiments highlight the importance of plastics and demonstrate the wide variety of properties that make them indispensable in so many applications. “Children are not just the employees of the future but consumers too, so it’s really important that they develop an appreciation of plastics from a young age,” commented the BPF’s Director-General, Phillip Law, at the launch of the new toolkit during K 2016. The BPF's Stephen Hunt and Philip Law launch the new polykits at K 2016 on the PlasticsEurope booth. “The plastics industry suffers from a severe skills shortage and part of the way this can be remedied is by engaging the younger generation with the wonderful world of polymer science,” he continued. The BPF is launching a ‘polymer ambassador scheme’ later this year, which will involve members volunteering to travel to schools in the UK to present the toolkits and help educate the younger generation about the important role plastics play in modern society. 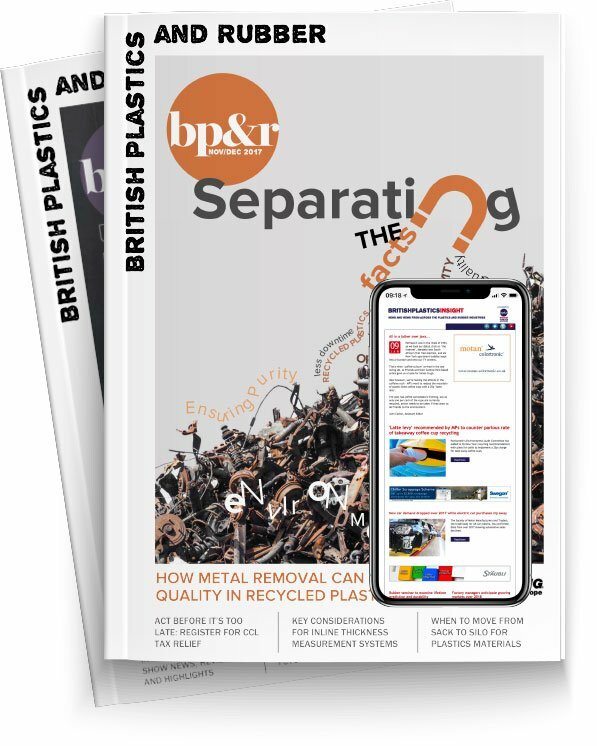 The ambassadors will be able to draw upon the BPF’s recently launched PolymerZone website (www.bpf.co.uk/polymer-zone), which includes a wealth of educational material about plastics that can be used to complement and expand upon the information included in the toolbox. Kim Christiansen, PlasticsEurope’s Regional Director, North Region, said that initiatives such as this provide a “valuable teaching resource” in English that, through collaboration with the BPF, will see ambassadors from the plastics industry taking this to schools throughout the UK. “The plastics industry heavily depends on a skilled workforce. It is in our own best interest to ensure that future generations embrace science and train in STEM subjects to provide the scientists and engineers of tomorrow,” Christiansen concluded.